Cyber-spawn Duqu 2.0: Was Malware Infection ‘Patient Zero’ Mapped? Kaspersky Lab reported this morning a next-generation version of Duqu malware infected the information security company’s network. Duqu is a known reconnaissance malware. Its complexity suggests it was written by a nation-state. The malware appears closely affiliated with the cyber weapon malware Stuxnet. WSJ reported this particular version may have been used to spy on the P5+1 talks with Iran on nuclear development. Dubbed ‘Duqu 2.0,’ the malware may have gathered audio, video, documents and communications from computers used by talk participants. Ars Technica reported in depth on Kaspersky’s discovery of the malware and its attributes. What’s really remarkable in this iteration is its residence in memory. It only exists as a copy on a drive at the first point of infection in a network, and can be wiped remotely to destroy evidence of its occupation. The infosec firm killed the malware in their networked devices by mimicking a power outage. They detached from their network suspect devices believed to contain an infecting copy. Kaspersky’s Patient Zero was a non-technical employee in Asia. Duqu 2.0 wiped traces of its own insertion from the PC’s drive. Neither WSJ or Ars Technica noted Kaspersky’s network must have been subject to a program like TREASUREMAP. How was a single non-technical point of contact in Asia identified as a target for an infected email? Targeting did more than identify a non-technical person. Collection and analysis of users’ activities earmarked a singular useful tool. OR they inserted HUMINT in the one place screened as suitable for a plant and infection. Duqu’s cousin Flame was a reconnaissance software, too. Perhaps it was dispatched earlier to gather info, wiped, then Duqu 2.0 followed. But the possible pre-infection target mapping may remain unknown, if early reconnaissance malware also wiped up in the same manner as Duqu 2.0. Marcy’s post this morning shares an important concern related to Duqu 2.0’s implementation. Some entity mapped OPM, identifying all current and near-term former federal employees. Now this entity can identify which targets are best for Duqu 3.0. 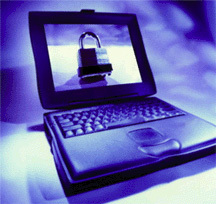 The U.S. government collaborated on cyber weapon creation, without adequate consideration to long-term repercussions. Other government agencies and the public know more now about this new threat because Kaspersky was open with its own exposure and with its findings. Risk reduction techniques can be improved because Kaspersky was willing to share this information. Public exposure of cyber attacks also has a deterrent effect, as seen with Flame; the malware “suicided” after media reports. Duqu’s current reconnaissance operations are scary enough. Imagine next not an inert Duqu, but a focused Stuxnet 3.0 launched on the private sector — likely beginning with suppliers linked to federal employees. Imagine businesses and individuals unable to defend themselves because they could not request by FOIA government-held information about cyber attacks. Should the public accept exposure to a next-gen Duqu 3.1 or 4.0 because Sen. Richard Burr insisted on greater opacity in undead CISA? https://www.emptywheel.net/wp-content/uploads/2016/07/Logo-Web.png 0 0 Rayne https://www.emptywheel.net/wp-content/uploads/2016/07/Logo-Web.png Rayne2015-06-10 12:40:282015-06-10 12:42:21Cyber-spawn Duqu 2.0: Was Malware Infection 'Patient Zero' Mapped? Hmm. Oblique, but effective narrowing of identification. Still sloppy opsec, which we can only hope continues. Isn’t Israel in GMT +2? israel would of course be the logical suspect, though djibouti is u.s. mil. with israel and saudi arabia making up in private, even communications from s.a. could be suspect. I’ve had HORRIBLE computer problems all morning. Started about the time I dug back into research on Kaspersky’s infection. I did find this little nugget at Der Spiegel; note the tiny bit more they add about the time zone. how do you like my translation? re those computer problems, don’t never mess with duqu, ever! was kaspersky labs really using microsoft in their system? why in the world unless to bait? Yep. Example: Linux zero-day exploit reported this January. Also disclosed in January, three new zero-day exploits in Apple iOS. I imagine they had WinPCs for a number of reasons, from testbeds to honeypots. In the case of the “non-technical Kaspersky employee,” there could have been other limitations based on applications in use, local laws, or just plain stupid (like using a personal WinPC at home to open work emails). Even using Citrix to access a corporate VPN combined w/dongle has at least two or more weaknesses. — Dongle and PC are likely made to NIST standards, probably have backdoors due to subverted standards. While far more secure than substantive majority of remote logins, still has breach risks.